Just because you can do something, that doesn't mean you should. That old truism goes double for computers. But some PC geeks are so fanatical about performance, so doggedly determined to push their hardware to extremes, that they'll go to ridiculous lengths to wring a few more clock cycles out of their components or add a little more cool factor to their rig. This article is dedicated to all those insane, irrational enthusiasts who defy all reason and common sense in the pursuit of PC glory. We've tried and tested five risky upgrades that no sane user should ever try. Don't get us wrong--these upgrades deliver genuine benefits. But they aren't for the faint of heart, as each is either time-consuming, expensive, or dangerous to your hardware. If you like to walk on the wild side, though, grab your screwdriver and follow along. Step 1: Remove any cover plate that may be hiding the LCD's hinge screws. Want better screen resolution, or maybe a glossy display instead of a matte one? Subbing in a new LCD panel for your old one is a bit extreme, but doable. 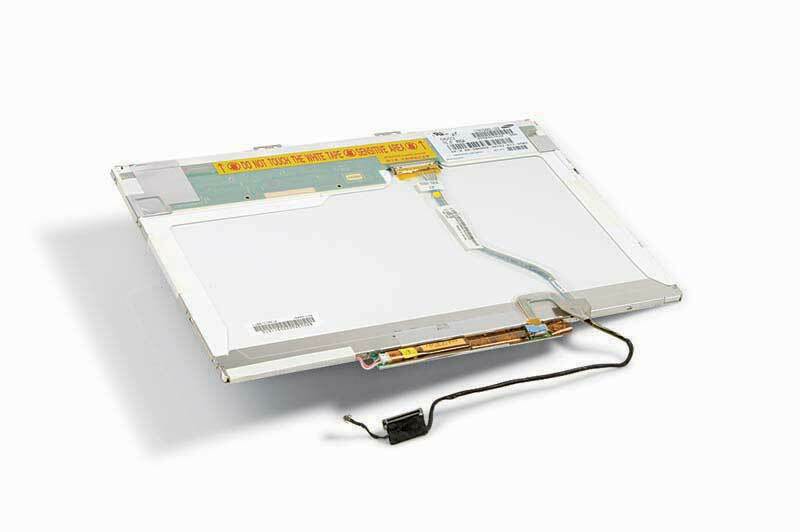 This upgrade is one of the trickiest and most time-consuming laptop surgeries you can perform, with little guarantee that the new screen will work as it should. Still, if you do your homework in advance and select the right hardware for your machine, the payoff can be spectacular. Step 2: Remove the keyboard, unplug the display's antenna and data cables from the motherboard, and undo the hinge screws to release the display assembly from the machine. According to replacement-LCD supplier ScreenTek, upgrading a screen can, unfortunately, be a matter of trial and error. Whether a higher-resolution screen will work on your notebook depends on many factors, including the laptop's video card, cable, and firmware. And of course, the new display must fit in the space available. 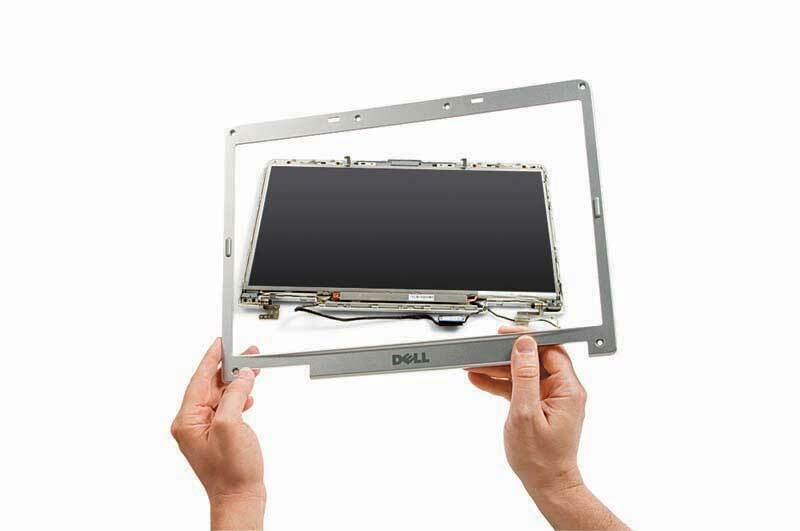 Before you purchase a replacement, it's a good idea to talk with a sales rep at ScreenTek or a similar LCD reseller to see what screens are available for your notebook. Step 3: Remove the bezel from the display assembly to free the LCD panel from its enclosure. 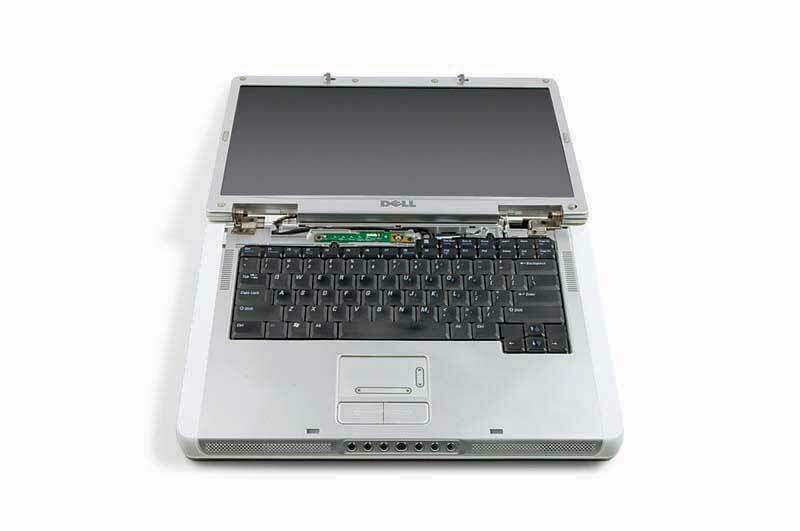 To replace the LCD on our Dell E1505, we first had to remove the laptop's hinge cover and keyboard, by taking out screws from the bottom and rear of the machine; then we had to unplug the antenna and video cables from the motherboard. 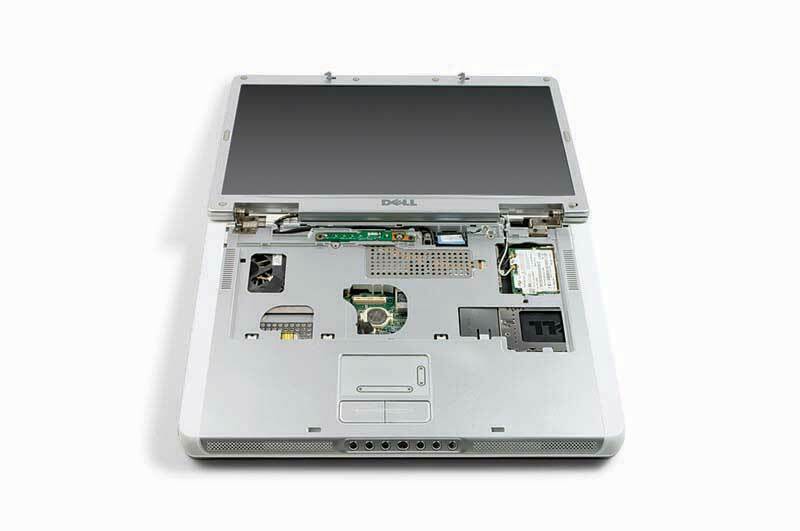 Those steps allowed us to remove the LCD assembly from the laptop's main body. Taking off the small rubber bumpers on the front of the screen revealed screws beneath. We removed the screws and then pried the bezel away from the screen, gaining access to the bare LCD beneath. We had to work slowly: It's easy to snap the plastic on the bezel during this part of the disassembly. Step 4: You may need to take the data cable from your old display and attach it to your new one to ensure compatibility with your motherboard. Brackets on each side of the LCD hold it in place. After removing the screws and unplugging the cables, we finally took out the bare LCD and replaced it with the new one. Then we simply reversed the disassembly process to put everything back together properly. Prior to reassembly, plug the cables in and boot the machine up to ensure that it's working correctly. If you don't get a picture, check that the cables are properly seated, and try again. If it still doesn't work, your notebook simply may not support that display resolution.